Harbour Village is committed to preserving Bonaire’s natural resources through responsible hospitality practices. The Harbour Village Reef Foundation was founded in 2016 to further current protective efforts by supporting and promoting research, education and conservation projects on Bonaire and internationally. As the only resort in the world advancing coral preservation through a two-tiered approach combining Electrified Reef and traditional coral transplantation techniques, Harbour Village Beach Club is leading the way in preserving and restoring some of the Caribbean’s most spectacular coral reefs. Harbour Village is home to an underwater Coral nursery of Elkhorn and Staghorn corals cared for by the resort’s dive masters, located right off the resort's private beach. 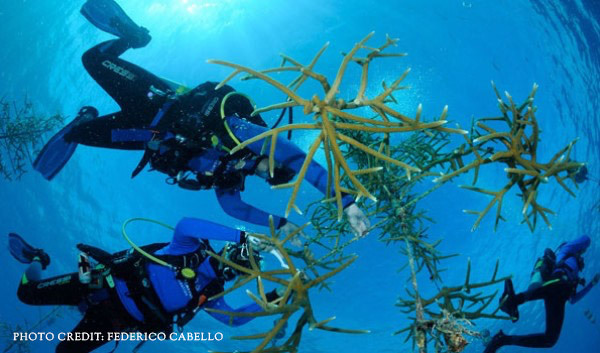 The corals were either salvaged from ailing coral structures or broken corals that would have died without proper care. Guests can learn how to hang the coral on the trees, how to clean and maintain corals, and how to transplant corals from the nursery to the rock piles right off the Harbour Village beach. Guests transplanting corals can return every year to see how much their transplanted corals have grown. An Electrified Reef involves transplanting a variety of coral species to metal structures that have a low voltage DC current, which stimulates new growth significantly faster than traditional methods of coral restoration. This technology has been used to protect islands and coastal areas from erosion and rising sea levels. Harbour Village has an ideal setting for this type of research, with 16 rock piles offshore to attract new coral growth and a variety of marine life. The Electrified Reef project will be powered with the cabling already in place for our underwater webcams, and eventually expand to include Electrified Reef tunnels connecting the rock piles to create a reef and a new home for Bonaire’s marine life. Great Adventures Bonaire offers a PADI Reef Renewal Diver specialty course allowing guests to introduce, nurture and transplant new coral colonies right off the Harbour Village beach. The corals are safely transplanted to protected areas off Harbour Village’s private beach and can grow up to 5 cm every six months, growing the house reef. 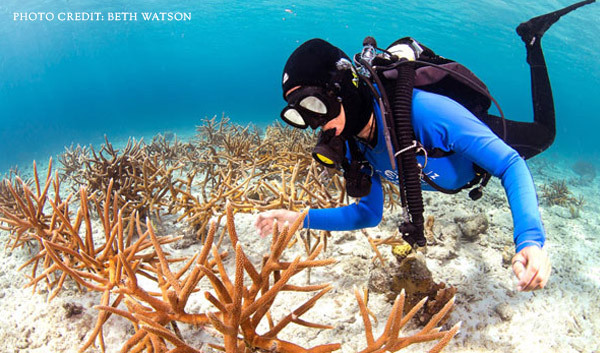 Non-divers can take the Aware Coral Reef Conservation Specialty course. Lionfish are an invasive species and pose a threat to coral and other fish as they have no natural predators in Bonaire’s waters. Great Adventures Bonaire offers a Lion Fish Tracker specialty course which certifies guests in the use of the ELF (Eliminate Lion Fish tool) to hunt lionfish and help keep the reefs healthy. Harbour Village supports the education of youth through onsite projects that allow local and non-local youth to collaborate in finding creative solutions to marine conservation on Bonaire and beyond. 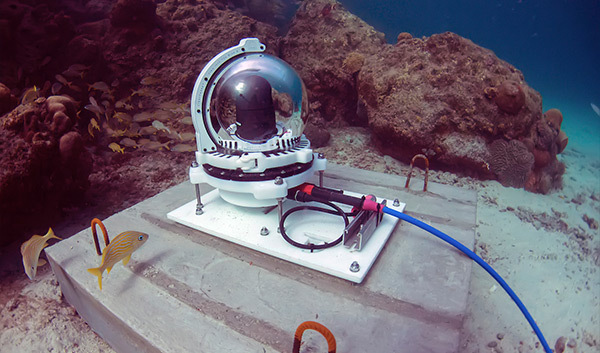 Harbour Village Beach Club has partnered with Teens4Oceans and Gulliver Schools of Miami, FL to bring an advanced View Into The Blue underwater research camera to Bonaire’s pristine waters. The camera measures pH, temperature and salinity and offers local and non-local students field research experience as well as greater opportunities for students to partner with professional marine science mentors. Harbour Village helped found a local Teens4Oceans chapter through STINAPA’s Junior Rangers, a local youth conservation group sponsored by the Bonaire Marine Park, which allows the Junior Rangers to collaborate with international students and mentors. Harbour Village is particularly proud of this program because of its direct impact on youth education and scientific research on Bonaire. Sea turtles are among Harbour Village’s most loyal return guests. Four nests were laid on the beach in the past four years with over 500 hatchlings making their way to the sea. Great Adventures Bonaire at Harbour Village hosts the Sea Turtle Conservation Bonaire’s rehabilitation pool when required for ailing turtles and assists in their care. Each year Harbour Village adopts a turtle nest on Klein Bonaire. Since 2016, the nests have produced over 400 hatchlings. The retail shop at Great Adventures is a vendor for Sea Turtle Conservation Bonaire items and all proceeds go back to the foundation. Harbour Village is introducing environmentally conscious practices in all areas of the resort and seeks local and international partnerships to help further environmental efforts. Great Adventures Bonaire earned the PADI Green Star Award, given to Dive Centers and Resorts that demonstrate a dedication to conservation across a wide range of business functions, including water conservation, energy use, environmentally friendly transportation practices, use of sustainable materials, conservation leadership and a donation to conservation through Project AWARE. GAB donates $10 to the Project Aware Foundation for each PADI certification issued. The onsite sewage treatment plant recycles waste water which is used in the landscape irrigation system, keeping the lush tropical gardens beautiful. Re-usable thermal bottles are available for purchase and water refill stations are available around the property. Parts of proceeds from the bottle sales go to the Harbour Village Reef Foundation. Sheets and towels are not changed daily, unless requested, which saves water use in our onsite laundry facility. Plastic straws were eliminated at La Balandra Restaurant. When requested, non-plastic, 100% compostable straws made from recycled materials are provided. Styrofoam containers were eliminated and materials that can be recycled on Bonaire are separated and delivered to recycling stations. Harbour Village partnered with the luxury resort wear company, Sea Lily, who donates part of its proceeds to ocean conservation and stewardship organizations. The dive shop carries Sea Lily wear and donates part of its proceeds to the Harbour Village Reef Foundation. The dive shop carries Stream2Sea sunscreen products which are biodegradable and reef-safe. All divers are encouraged to wear sunscreens that are free of chemicals, such as oxybenzone, that can kill coral and damage coral reefs.